I like that Fall/Early Winter is becoming the "Oscar season" for comic books. For the last couple of years, publishers seem to be releasing their heavy hitters during the September/October/November months. Perhaps they recognize the importance of getting on those year-end "Best Comics of the Year" lists, and they know that comics released around now will have a better chance of being remembered than books that came out way back in January or February. 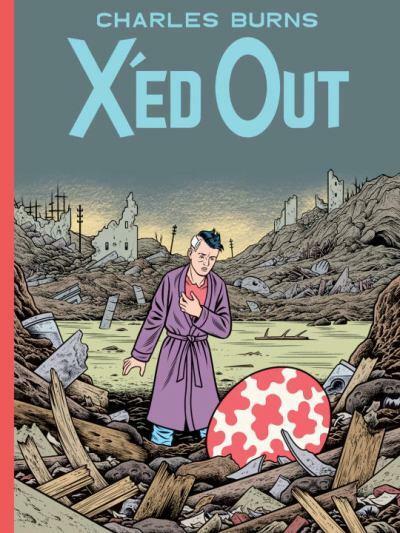 This year, the Fall books include Darwyn Cooke's Parker: The Outfit, Chris Ware's Acme Novelty Library #20, Seth's Palookaville #20, Carol Tyler's You'll Never Know Book Two: Collateral Damage, Charles Burns's X'ed Out, Jaime and Gilbert Hernandez's Love and Rockets: New Stories #3, Top Shelf's AX manga anthology, Johnny Ryan's Prison Pit vol. 2, Osamu Tezuka's Ayako, and Kevin Huizenga's Wild Kingdom. I'm sure I'm missing a few other contenders, but that's a pretty stellar line-up, wouldn't you agree? Also, I'd say Scott Pilgrim has an excellent chance of ending up as the most-beloved book for the year, and it came out back in July. But it kind of perfectly fits the role of summer blockbuster in our movie analogy, doesn't it?